Still reading? Gillette Fusion razors are a great tool to get a clean shave but - at least in my opinion - there is some planned functional obsolescence in their blades. On the left you can see a new blade and on the right another one which has been used three times a week for around three months (already longer as suggested by the producer btw). The green strip situated over the three cutting blades - called Lubrastrip by Gillette - does a lot of the "(pro)glide" action thing (lubrication...yeah) and also serves as an indicator to actually show the overall wear of a blade. 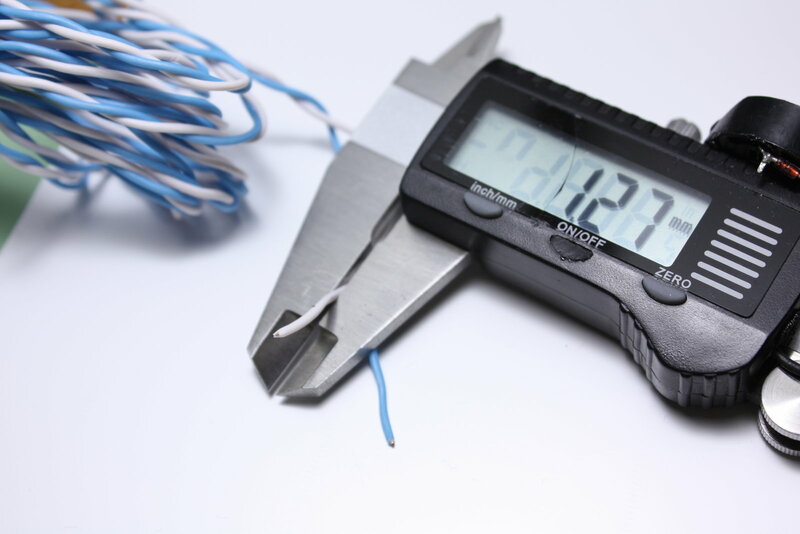 However, it also provides some planned obsolescence as it wears down very fast by losing some of its height with every shave (easily explained with some lubrication material being taken away during each single swipe). 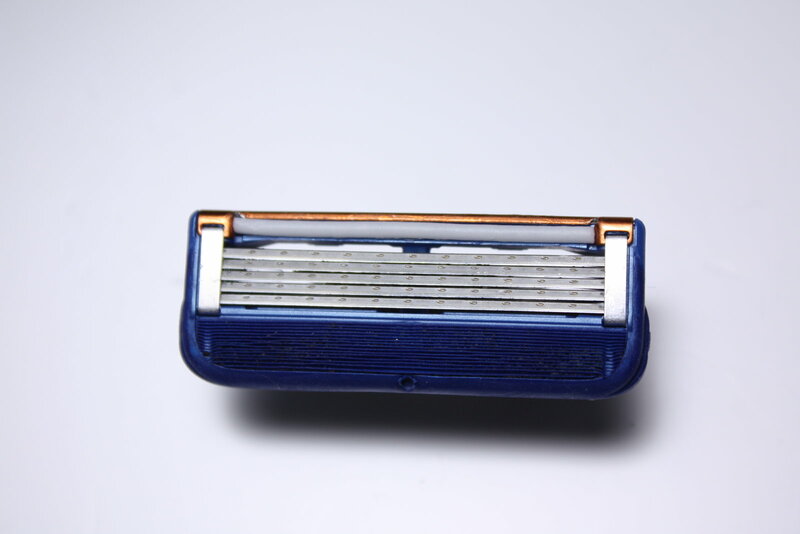 With the Lubrastrip wearing off, the cutting angle of the blades changes gradually over time making the shaves less effective and more...itchy and scratchy?! You don´t want this, do you? Consequently you get the blade replaced by buying a new (plastic-blister-packaged) one and you trash the old one (just as the plastic-blister-packaging...). 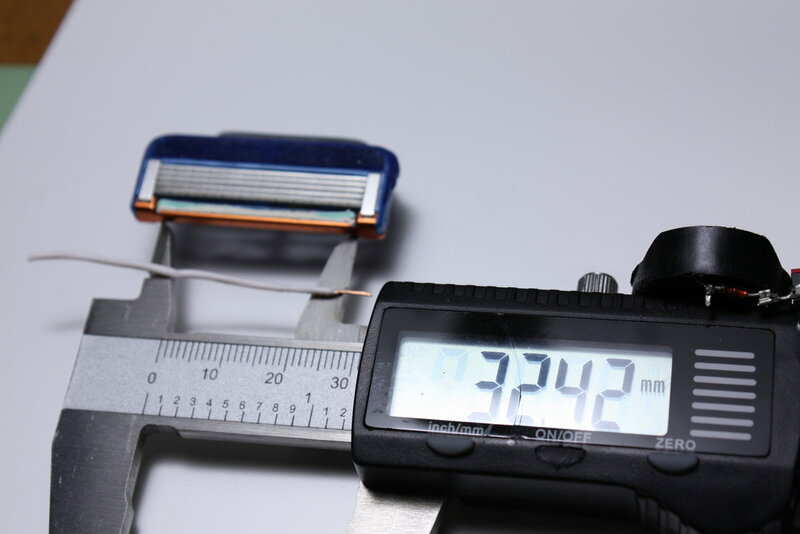 So, what can be done to at least prolong the life of a Lubrastrip razor blade - yes - replace the worn Lubrastrip. 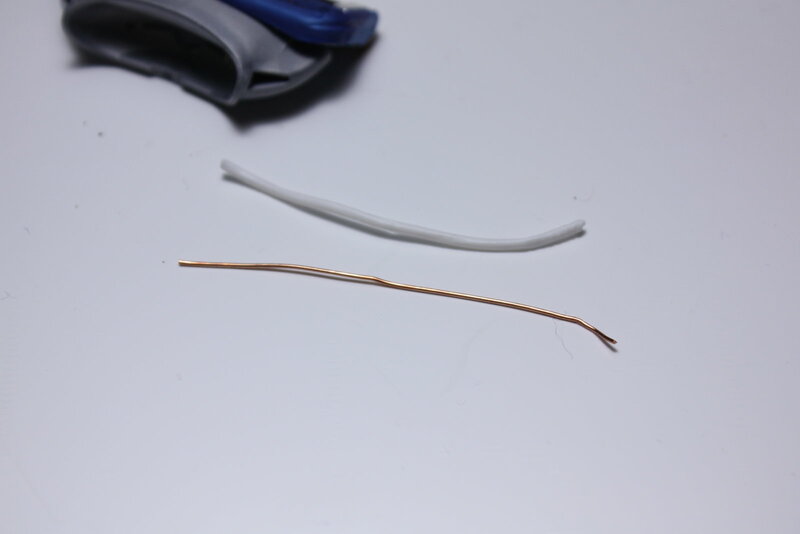 I used a 1.3 mm copper wire isolation. ...and cut to the right length (approx. 32 mm) it fits the Lubrastrip mounting quite well. To fix it, I glued it in with a thin line of cyanoacrylate glue (aka super glue - no it´s not toxic but actually even recommended for treating minor lacerations).